More than 20 people have been unlawfully held in custody after they’ve been ordered released since the implementation of the federal government’s zero tolerance policy at the U.S.-Mexico border, according to new court filings. Capacity and clerical errors are largely responsible for the delays in releasing people. More than 20 people have been unlawfully held in custody after they’ve been ordered released since the implementation of the federal government’s zero tolerance policy at the U.S.-Mexico border, according to new court filings. Capacity and clerical errors are largely responsible for the delays in releasing people, the documents show. At the center of the filings is Sandeep Singh, a 24-year-old Indian citizen who was held by the U.S. 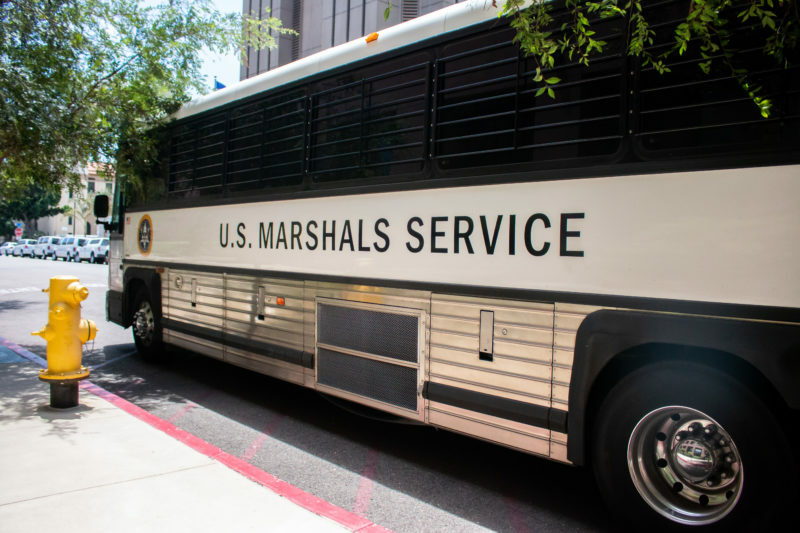 Marshals Service – the agency that detains and transports people charged with and convicted of federal crimes – for 20 days after a judge first ordered him released. In addition to Singh, at least 20 other people have been detained past the date of their ordered release on bond or completion of their sentences, ranging from an additional three days to three weeks in criminal custody. Over a 130-day period this summer and fall, this has resulted in a cumulative total of 150 days in unlawful detention. “Thus, averaging our, every single day in our district there is someone in custody who should not be,” reads a court briefing filed by the Federal Defenders of San Diego. Singh was arrested by immigration authorities on Oct. 9, after he tried to enter the United States through the Calexico West Port of Entry. Singh tried to run northbound between the vehicle lanes. The government charged Singh with a misdemeanor for illegally entering the country, and he was transferred to U.S. Marshals custody. Singh left India in August 2018, and expressed fear to immigration authorities of returning to India. He feared for his safety due to his political beliefs. He spent more than a month traveling through Ecuador, Colombia, Panama, Costa Rica, Nicaragua and Mexico before arriving at the U.S. border, according to court documents. Though Singh’s case was being heard in San Diego’s federal court, he was detained at the San Luis Detention Center in Arizona – four hours away – because of overcrowding. About a week after Singh’s initial hearing, his bond was set at $500, which he posted the next day, and a judge ordered him released. This is where things started going wrong. The same day that Singh was ordered released, the U.S. Marshals Service instructed officials at San Luis to transfer Singh to the Western Regional Detention Facility, a U.S. Marshal facility in San Diego. The court’s release order was also sent to San Luis, according to court documents. The U.S. Marshal Service claimed that it “was unaware that Mr. Singh had been moved and instead believed he had been released from custody after learning he was no longer jailed at San Luis,” according to the filing. The Department of Homeland Security had also filed an immigration detainer – a request that law enforcement transfer him to the custody of immigration officials following the conclusion of his criminal proceedings – before he was referred for prosecution. That meant law enforcement could hold Singh for up to 48 hours following the conclusion of his criminal case to allow for a transfer. Singh’s attorney only found out that Singh remained in criminal custody after contacting immigration officials trying to find him. At that point, he had been in custody for five days after being ordered released on bond. Because of the detainer, his attorneys thought he had been transferred to immigration custody. On Oct. 23, a Border Patrol supervisor told Singh’s attorneys that they did not have him. Realizing Singh remained in criminal custody, his attorneys e-mailed prosecutors to complain about his ongoing criminal detention. The government dismissed the case against him two days later. But Singh remained in criminal custody. Two weeks later, he called his attorney and told them he was still in the Western Regional Detention Facility. The Federal Defenders notified the U.S. Marshals that their client was being held inappropriately – they didn’t receive a response. The next day, Nov. 6, they contacted the U.S. Marshals again, who blamed Sing’s prolonged detention on the mix-up at San Luis the month before. The U.S. Marshals said they sent the court’s release order to the correct detention facility and said he would soon be transferred to immigration custody because of the immigration detainer. That afternoon, Singh was still detained, and his counsel filed a federal habeus petition to demand his immediate release. The next day, Nov. 7, immigration authorities took him into custody, where he currently is detained, awaiting his asylum proceedings. It took three court orders and 20 days for Singh to be released. The briefing also delves into how situations like Singh’s have been occurring more since zero tolerance – and the resulting flood of illegal entry misdemeanor prosecutions – began in April. Indeed, detention space has proven an issue since the surge in illegal entry prosecutions, not only impacting the U.S. Marshals, but also Immigration and Customs Enforcement and Border Patrol in San Diego and Imperial counties. Back in the ‘90s, when former U.S. Attorney Alan Bersin decided to de-prioritize all but the most serious border-crossing cases, he cited detention space as one of the reasons. “Prison beds, which should have been reserved for serious felons, were being filled with economic migrants, with no prior criminal history,” Bersin wrote at the time. “In this District, it was not uncommon to find some defendants returning to the MCC several times over the years, to serve sentences that were incrementally more severe each time: 30 days for the first offense, 60 days for the second time, then 90 days, and so on, up to 180 days. Even a former U.S. attorney in San Diego who supports zero tolerance and the increase in illegal entry misdemeanor prosecutions, Peter Nunez, told Voice of San Diego in May that there has never been enough detention space in the district. In the filing, Singh and his attorneys request internal audits and other measures to fix and prevent the types of clerical errors that have led to unlawful detentions since zero tolerance began. In addition to the audit, the attorneys requested that the court order the agencies to report back to court in two weeks to explain what measures they have adopted to fix the errors. The Federal Defenders also want the court to require the U.S. Marshals to confirm receipt of any release orders sent to detention facilities, that the confirmation be forwarded to defendants’ attorneys and that all the facilities in the district produce a daily list of persons in custody. Jails keeping “careful records of of people entering and leaving custody as part of their normal course of business,” the filing reads. “These lists are easily created,” the Federal Defenders argue in the briefing. In its response, the government argued the petition is moot because Singh is no longer in criminal custody and his case has been dismissed. Singh’s attorneys responded that since the case against Singh was dismissed without prejudice, prosecutors can choose to charge Singh again, meaning he could once again suffer from the prolonged detention. The matter will be heard Friday by U.S. District Judge Barry Ted Moskowitz. The local U.S. Marshals office referred Voice of San Diego to the national office for comment. Officials there did not immediately respond to requests for comment.